Part of our work is to provide advice to the Scottish Government and the Scottish Parliament on relevant legislation, and to provide information about relevant legislation to lesbian, gay, bisexual and transgender (LGBT) communities in Scotland. 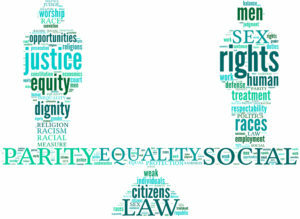 This section of the website provides information about the law, and other rights, relating to LGBT people in Scotland. Please note that the information available here represents our understanding of the legal situation, but we strongly recommend that you consult a solicitor before making any significant legal decision. In Scotland, the law comes from two different sources: legislation, and the common law. Legislation includes Acts of the Scottish or Westminster Parliaments, European legislation affecting the UK, and ‘subordinate legislation’ – secondary legislation created, for example by Government ministers or local authorities, under powers granted to them in Acts of Parliament. The common law is law which is not specified in legislation, but which has been developed by the courts, some of it over a very long time. The majority of the law affecting LGBT people in Scotland is based in legislation.